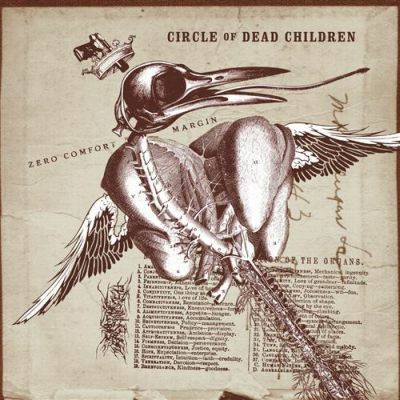 Joe Horvath and Jason Andrews remain as the founding members of CIRCLE OF DEAD CHILDREN, formed on Halloween, 1998, on the southern 'skirts of Pittsburgh, Pennsylvania. Back then the crosshairs were pointed at little more than spraying down the Steel City sewers with a limitless bombing concoction of crusty blackened grind death and "maybe releasing a seven-inch someday". Countless lineup changes, an infamous string of obstacles as well as basements and stages across the country have been encountered and ultimately destroyed from day one and CODC continue to push forward the boundaries of extreme music worldwide, here seven years later, in 2005. CIRCLE OF DEAD CHILDREN represent the audio end-times, a psychotic fast-forward nightmare into the sonic ash-heaps of humanity. CODC are, as noted by press, the ultimate anti-everything band; anti-life, anti-death, anti-world, anti-music and anti-you. Critically acclaimed for lyrical concept and prose as much for their hyper-extreme approach to sound, CODC possess the ability to both wretch and annihilate the listener as well rouse and intrigue. After quickly recording a self-titled demo cassette, the Circle dropped "Starving the Vultures" CD/LP and "Exotic Sense Decay" CDep on Willowtip Records in 1999, leaving the extreme metal scene with a fresh new poison. S.O.A. Records released "Starving the Vultures" on a limited LP and Robodog Records (now Robotic Empire) released "Exotic Sense Decay" on limited 7" picture disc. 2000 saw the departure of bassist Dave Good who was replaced by long-time ally in noise, Alf Kooser. 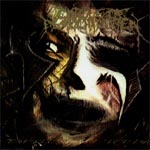 In 2001, CODC had a foul run in with Necropolis Records who released "the Genocide Machine" CD under their DeathVomit sub-label. The record quickly became out-of-print (save for bootlegs rumored to be pressed), received impressive press and went to #6 on the CMJ Loud Music chart. Willowtip Records released "the Genocide Machine" on a limited LP in a silver static bag, 200 hand-numbered on blue vinyl. 2001 also saw the departure of Jon Kubacka from the second guitar spot as well as a mini-tour with west coast allies, Phobia. In the following year, Jon Miciolek parted from the drum set and was replaced by Mike Rosswog. Alf Kooser then quit, leaving arguably the worlds' most viciously savage three-piece to record "Human Harvest" CD/LP in 2003, with production icon Steve Austin. "Human Harvest" was licensed to Martyr Music Group (North, South, Pan Americas) and Displeased Records (Europe/rest of World). Rosswog was replaced on drums by Mike Bartek (Sadis Euphoria) and the bass spot was taken by Drew Haritan (Free Barabbas, Sadis Euphoria). CODC put themselves back in the studio, once again at Austin Enterprise. CIRCLE OF DEAD CHILDREN now spit forth their most mind-numbing dosage of acidic nihilism to date; "Zero Comfort Margin", on Willowtip Records.